The Smith & Wesson Military & Police 9mm Compact (S&W M&P9c) is one of the most popular firearms in the M&P line, since its introduction in 2005. 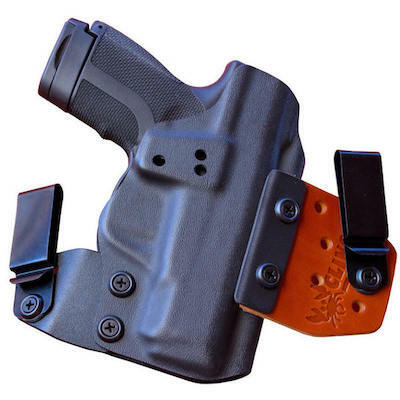 These work great in our S&W M&P9c concealed carry holsters. The M&P 9c is a double stack 9mm, striker-fired, compact, semi-automatic pistol. It is 6.7” long, 4.3” tall, and 1.2” wide. It is capable of holding 13 rounds (12+1) or 18 rounds (17+1). 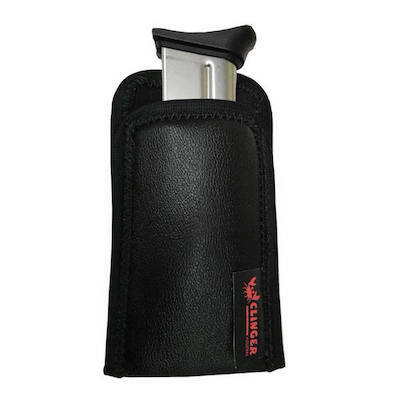 It boasts an ambidextrous slide release and an adaptable magazine release. The M&P 9c is the definition of handgun ergonomics. 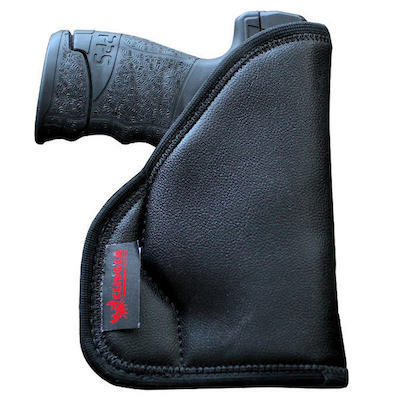 The textured grip makes it easy to maintain control when that recoil hits. In fact, it can be argued that the ergonomics on the M&P line are the secret to its success. The humped back strap allows you to spend all day at the range gorging the chamber with rounds without your hand getting sore. The textured magazine release, again adaptable between those that are right-handed and southpaws, makes the transition when reloading smooth and quick. The way the M&P 9c is designed, nothing should snag when drawing your weapon. Everything aesthetically is streamlined toward the rear of the gun. All in all, it is a mighty fine weapon. The biggest complaint is the trigger. Most would just throw out the factory trigger and get a new trigger kit. Two significant features on the 9c are the adjustable steel sights and the loaded chamber indicator. The M&P 9c is available with a manual safety and a magazine disconnect safety. If that is something you are looking for, then Smith & Wesson has got you covered. 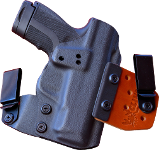 With the increase of individuals obtaining concealed carry permits, many are looking for an adaptable, comfortable, reliable, and concealable weapon. The S&W M&P9c is a good place to start. 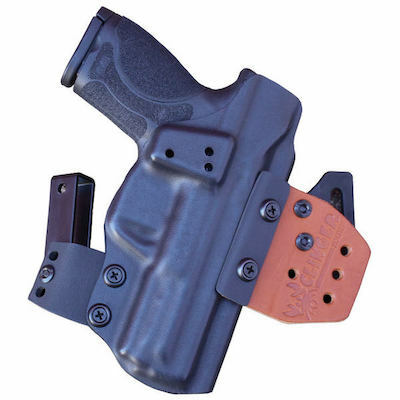 S&W M&P9c Kydex holsters are easy to find as well. 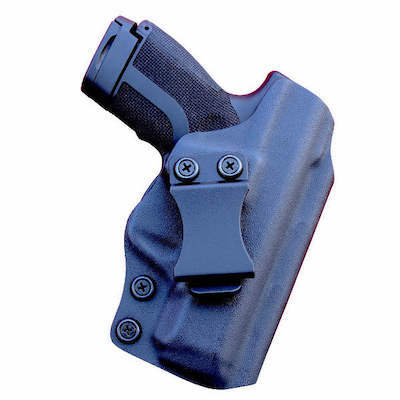 Browse our concealed carry holsters for the M&P9c above.